"Frabill Plano Hydro-Flo Hanging Bait Stowaway, Clear"
Large Double Sided Fly/Jig Box with Silicone Insert. 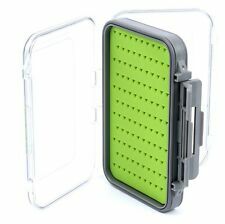 Silicone inserts, hold flies and jigs tighter and allow more flexibility moving them around in the case. Double clear lid design makes identifying flies or jigs very easy. 136 sturdy pieces that includes a 1/8 oz. jig head, 1/4 oz. Don't step foot on the dock without the wonderful Ready 2 Fish 2 Tray Multi Specie Fishing Tackle Box. Also includes 1 Heavy Duty Spiral Rod Holder. (easy to open and close). Made of durable ABS plastic. Two ripple foam inserts accommodate many types of baits, jigs or flies. Silicone seal makes this case waterproof. Color: Black. All our lures are made of high quality, durable material and were digitally designed to our specifications on a computer. This brightly colored set will keep the fish coming! See why people love these lures! 5 gallon bucket not included. Adjustable to fit most 5 gallon buckets. Plano's classic three-tray tackle box features a cantilever tray design that extends open to showcase the contents. Two Top Access Storage Areas. BEST PRICING. HIGH QUALITY. Multi-purpose fishing tackle bag. 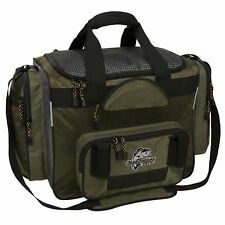 1 X Fishing Tackle Bag. Color: Black, Green, Brown, Jungle Camo, Jungle Digital, ACU Camo. Can storage your pliers, fishing bax, baits and lures, small reel and other accessories and secure and organized. Fishing Sinker. Fishing Lure. Soft Fishing Lure. Fly fishing lure. Hard Fishing Lure. Fishing Swivel. Octopus Skirt Lure. Fishing Rod & Reel Combo. Also ideal for storing your gear, tackle Tools in the off seasons. Double-layer design with side bags, for fishing reel/line and fishing floats storage. 1x 120cm Fishing Rod Case Bag. Material: Nylon. These traditional Ready to Fish tackle boxes are just what you need to carry your tackle. One tray (62 pieces assorted tackle). 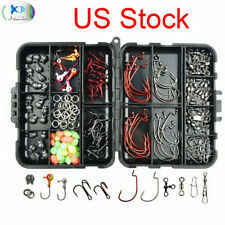 Fishing Sharpened Hooks Lures Baits With Tackle Waterproof Storage Jig Box Case. 1pc & Fishing Box. Durable, impact resistant and corrosion resistant construction. Resistant to blows of safety latches. The tackle box is an outdoor hip roof fishing tackle box that is perfect for the fisherman. drawtite latches for optimum tackle box organization. This lure tackle box has a rugged, durable. who wants a container that will hold a little bit of everything. These traditional Ready to Fish tackle boxes are just what you need to carry your tackle. Two tray (Can hold 132 pieces of assorted tackle). We stand behind our products. Make sure this fits by entering your model number. Lures Pro is a fishing baits and tackles factory outlet. You will find more surprises~. You will get what you see here. 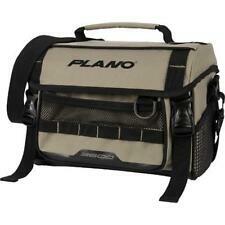 Molded top with elastic tie down strap holds one Plano 3500 Series Stowaway for quick access. Easy access side pockets with lift handles. Molded impact resistant waterproof base. Model # 4650-20. Mustad Waterproof PVC Boat Bag 30" x 13.5" x 16". Mustad 30" Boat Bag. Practical bag for most of your needs on the boat. Made from durable waterproof PVC. Double stitched for durability. It is designed with a hard boat style bottom for good protection of your gear. Tough stitched and zipper lock, this bag storage your pliers, fishing box, baits and lures, small reel and other accessories all secure and organized. Tackle Storage & Case. 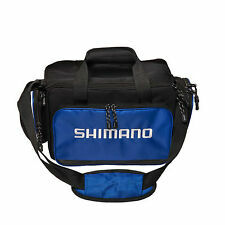 Fishing Tackle Storage Waist Shoulder Bag. 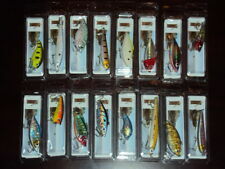 Lot 12 Fishing Spinner Lure Hard Lures. Qty. : 8 Rooster Tails and 4 free bonus Spinners. The spinners create life-like swimming appearance, vibration in water, using both visual and sonic stimulus to provide the best action. Includes five (4) 3600 series ProLatch StowAway storage boxes. Three external pockets for additional storage. Molded impact-resistant, waterproof base. Includes shoulder strap for easy transport. Dimensions: 14.75"x9.37"x8.37". PThe Flambeau tackle box is an outdoor hip roof fishing tackle box that is perfect for the fisherman who wants a container that will hold a little bit of everything. This fishing tackle box has a seven-tray storage capacity for multiple types of lures, and an interlocking tongue-and-groove closure with drawtite latches for optimum tackle box organization. Plano Molding 4-By Rack System. Includes four 3500 Series Plano utility boxes. Bulk storage under lid. Has 20% more bulk storage space and larger trays. Integrated lure trays and can holders on the lid make this angler friendly tackle box truly functional. • Color is green. Cold Steel. WHY BUY FROM UO?. All made of high quality material. 7 different kinds of necessary fishing accessories, each kind of size of them are placed in different small grids which easy to access. A great gift/addition to any anglers kit, enjoy your fishing trip. Silicone seal makes this virtually waterproof. Strong snap tight latch ensures the box stays closed, protecting your lures, jigs and tackle. Foam slits are used to prevent tearing that occurs with full foam inserts. Ideal for storing nuts, bolts and screws.-Sturdy duraview front door.-Bulk storage under lid.-5 Clear drawers.-Made in the USA.-10" H x 7.25" W x 11" D, 2.76 lbs. SALES CONDITIONS. Partitioned utility StowAways. 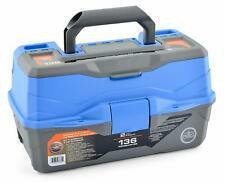 Also ideal for storing your gear, tackle tools in the off seasons. Double-layer design with side bags, for fishing reel/line and fishing floats storage. 1x Fishing Rod Case Bag. Material: Nylon. 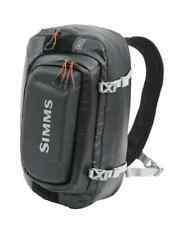 With hand carry strap & adjustable shoulder strap, convenient to carry. 1 FISHING TRIP! 4 GREAT GIFT! 3 VARIOUS FISHING ACCESSORIES! Fishing Accessories Kit Including swivel slides / ball bearing swivels / rolling swiel snap / barrel swivel / jig hook / crosline barrel swivel / barrel swivel / fishing bead / fishing sinker weights ". With 2 Tackle Trays. 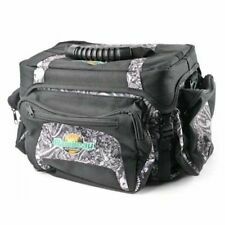 Soft Sided Fishing Tackle Bag. We will respond as soon as possible. Full length wood doweling supports the weight while hanging. UV stabilized Surlyn clear 12 mil cover protects hooks from figers, Velcro tabs hold surlyn cover down in place. Each spoon/lure is held on the pad by the hook. DELUXE SURF BAG. 3 vents in the bottom of the bag to help keep bag dry. This bag does not have any kind of inner dividers. These are very tough to find. 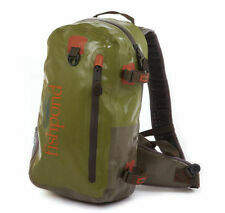 The KHAKI fishing bag weighs only 11.36oz. Durable and practical for fishing hiking cycling climbing and travel. Lightweight, Durable & Practical Fishing Waist Bag. Made of a lightweight nylon material & featuring a spacious main pocket. Fishing Lure, Hanging 1 Pocket Heavy Duty Tackle Bag 10" X 10"
This bag 1 pocket 10"x10". Tackle boxes and bags are key pieces of gear for a fisherman. They provide storage and organization for everything that you might need when going fishing, such as monofilament fishing line, sinkers, flies, lures, and reels. 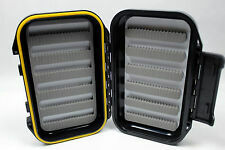 Most tackle boxes and bags offer helpful features such as separated compartments, lids, and variable storage slots for each type of tackle or gear in the container. What is a fishing tackle box? A fishing tackle box is a system of storage trays with or without lids for storing your lures. They offer a cantilevered top that allows you to remove a tray, close the lid of the tray, and carry it along with your bait to your rod. This allows you to take only what you need to your small boat or the fishing dock and leave the majority of your lures, reels, and other gear in the main fishing tackle box back at your vehicle or camp. The fishing tackle box offers a way to organize all of the accessories needed for bait, such as hooks. A tackle box also has space for the lures to bait the fish and sinkers for the bait. Most tackle boxes feature an angled entry for the trays for ease of insertion and removal. What are the types of tackle boxes for fishing? Backpack - This style of tackle box is usually made from heavy-duty cotton canvas or duck cloth. It has two straps, which are often made of woven nylon for strength and durability. It keeps your hands free for carrying bait. Waist pack - A waist pack style of fishing tackle box is worn around the waist and under your fishing vest. It has a zipper for accessing the fishing tackle. Tackle bag - A tackle bag looks like a soft-sided lunch cooler. It is often insulated and made of water-resistant fabric. Utility or reel box - These tackle boxes look like a small toolbox. What are features of a tackle box or fishing bag? Water-resistant or waterproof - Fishing tackle boxes are designed with a water-resistant exterior or a waterproof finish that repels water and stops it form penetrating into the lures and storage gear. 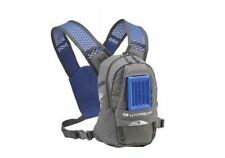 Carrying handles - Carrying straps allow you to wear the fishing tackle box on your shoulders or as a backpack while walking between the dock, boat, and your vehicle. Handles with an ergonomic design also facilitate carrying your tackle box. Soft-sided or hard-sided - A soft-sided tackle box is comfortable to wear against your body. A hard-sided tackle box can handle rough environmental conditions. Freshwater or saltwater - A freshwater tackle box has ample room for fly fishing. 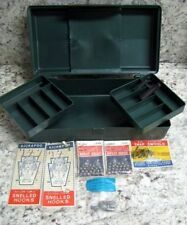 These fishing tackle boxes are often designed with removable parts or to be worn on the body. A saltwater fishing tackle box is resistant to corrosion from the salt in the water. They often have a hard case.